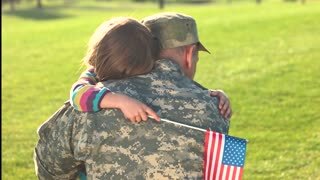 Search Results for "father and daughter embrace"
Lovely touching hugs of little girl with her military father came back. 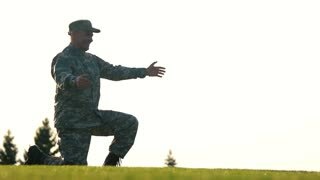 Daughter with USA background embracing her soldier daddy on park grass background. European little girl embracing her father. Daughter with EU background hugging her soldier daddy on park grass background. Father and daughter embrace at the beach. Happy Young Family Portrait in the Falling Snow, Father Holds Daughter and Embraces His Wife. Smiling Family Enjoys Winter Holiday in the Front Yard of their Idyllic House Decorated with Garlands. 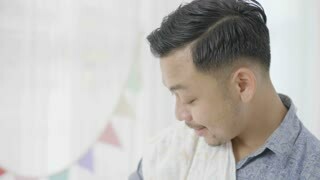 Busy father with cellphone sitting on floor in domestic room while cute preschool daughter approaching to kiss and embrace dad. 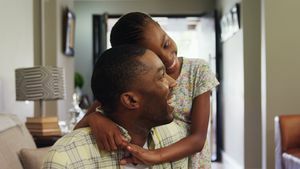 Joyful girl with father expressing love and tenderness bonding at home. Father hugs daughter. Happy dad with a little daughter embrace. Slowmo video of a mother and daughter embracing the father and son of the family outdoors in a group hug. 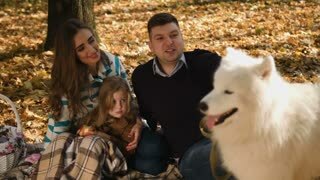 Happy Young Family Portrait in the Fallin Snow, Father Embraces Wife and Holds Daughter. Family Enjoys Winter Holiday in the Backyard of their Idyllic House Decorated with Garlands. Happy Young Family Portrait in the Falling Snow, Father Embraces Wife and Holds Daughter. Family Enjoying Winter Holiday in the Front Yard of their Idyllic House Decorated with Garlands. Happy Young Family Portrait in the Falling Snow, Father Embraces Wife and Holds Daughter. Family Enjoys Winter Holiday in the Front Yard of their Idyllic House Decorated with Garlands. Emotions. A happy family. The child runs to the father's arms. Dad and daughter are hugging each other. Embrace. Father and daughter are traveling in the mountains. They embrace and are happy to travel in the Lofoten mountains. Norway. Joyful adorable daughter with pigtails running to embrace her loving father from behind on the beach at sunset. Carefree little girl hugging her dad with love and tenderness outdoors. Loving Young Father Returns Home, Her Cute Little Daughter Meets Him with the Open Arms, They Embrace, and Spin - Hug. Happy Winter Evening with Family Reunion. Falling Snow and Idyllic House Decorated for Christmas Eve. Young family together on a Ferris wheel in an embrace. In the evening in the lunapark, father, mother and daughter on the merry-go-round. Cute Little Daughter Returns Home, Her Loving Father and Mother Meet Her with the Open Arms, They Embrace. Happy Winter Evening with Family Reunion. Falling Snow and Idyllic House Decorated for Christmas Eve. Meeting and hugging little daugther. 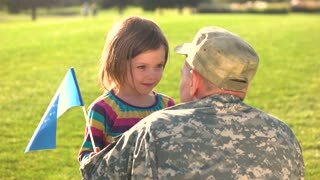 Girl coming to soldier dad's arms and hugging him, long-awaited meeting.